It's easy, looking at the composed, incredibly gentle face of Ihsahn, to imagine that a live set of his solo work is going to be a calm, cerebral affair. The former Emperor front man survived the Norwegian black metal scene of the early '90s, which consumed so many of his peers, with unparalleled elegance, and his almost monk-like devotion to his solo work only heightens the perception of his acetic sweetness. 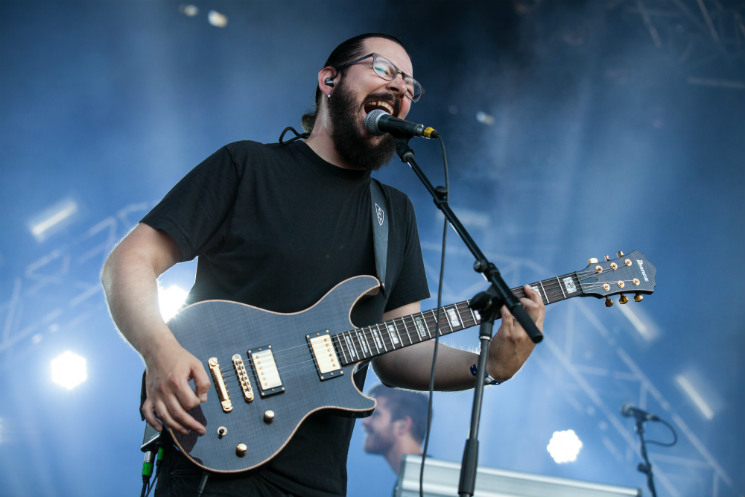 But then the music begins, and you remember that this is Ihsahn, who has a voice like a glacier, and is backed by Norwegian avant-garde metal prodigies Leprous. You recall the sinuous subtlety and deep muscularity of his compositions, which increase the pressure slowly and then suddenly lash out into a chokehold. His Heavy Montreal set built in intensity, the closely banked fire of the early tracks gathering momentum until it came crashing together, climaxing in a joyous rendition of a new track, "My Heart Is Of The North," from a forthcoming record. By the end, you the glittering intensity and deep power behind that disarmingly kind face had flooded back into the crowd's memories, as we all wished fervently that his kindly type of destructiveness would visit North America much more often.